One night, while idly scanning the contents of commercial shampoos, I discovered that many modern soaps, and other bathroom products, use a cocktail of chemicals that might not as beneficial to your skin as they like to make out. I had suffered from sensitive skin for most of my life and it didn’t take long for me to consider that prolonged use of such harsh substances may have been a contributing factor to this. So, out I went, found some books at the library, and after lots of experimentation had refined a collection of soap ‘recipes’ specifically with sensitive and young skin in mind. From there I went on set up Grass Routes Soap, a company creating traditional soaps from organic, largely self-cultivated, ingredients. Consistent soap manufacture became possible with the invention of sodium hydroxide by Nicholas LeBlanc in 1790 in response to a competition by the great French perfume houses to make a consistent bar of soap in which they could adhere their unique scents; before that it was hit or miss as to whether they’d end up with a caustic brick of brittle soap that burnt the skin or a grey sludge. The basic chemistry is that of introducing a base and acid together to create another substance. Sodium Hydroxide (NaOH), aka caustic soda or lye, is a very strong base that creates an exothermic (heat producing) reaction, when it is added to water. During this reaction, the lye separates into sodium cations (positively charged) and hydroxide anions (negatively charged) which decrease the acidity of the water. Combining this lye solution with fats (acids) causes a reaction called saponification, Voila, soap. You may be thinking that caustic soda is a rather nasty ingredient itself but if the lye has been properly mixed with the fats and has been given time to cure, there is none left in the finished soap because it has been completely transformed and a new product has been formed. So, although I list sodium hydroxide in the ingredients of my products, it isn’t present in the finished bar. While real soap is saponified fat (vegetable or animal), many modern commercial soaps are largely detergent, a chemical stew, with common ingredients including: sodium laurel sulphate – a harsh chemical detergent invented during the 1920s in Germany to remove engine oil; methyl cellulose – wallpaper paste; inaidazolidinyl urea – urine to you and I; three or four types of alcohol and any number of artificial fragrances and additives. Conversely however, in some soaps ingredients such as coconut oil can be listed as sodium cocoate, which is its saponified state, making it looks like an harsh chemical instead of the natural product it is. The difference is highlighted in the time it takes to make the different products. It takes a month to make a bar of real soap out of edible oils (it needs to ‘cure’ like cheese), whereas modern detergents can be made chemically in an hour. When the mixture reaches ‘trace’ (the thickness of runny honey) we add the essential oils and any flowers or herbs, stirring them in thoroughly before pouring out into moulds. After 24 hours the mixture has set. Soap-making traditionally had to be very simple so that the lay person could make it hundreds of years ago and the process hasn’t really got any more complicated so pretty much anybody can make soap in their own home. 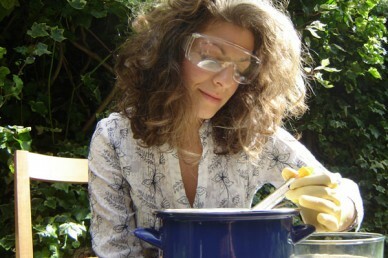 Only basic equipment is needed such as glass bowls, enamel pots and glass thermometers, plus a great deal of patience – some of my soaps take three hours to stir to ensure the molecules blend properly. The main things to keep in mind are exact weights & measures, exact temperatures and to keep safety to the uppermost as you’re dealing with a caustic ingredient. 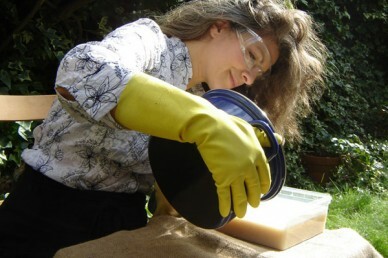 Always wear gloves and protective eyewear at every stage of production. Honey is a great moisturiser, has antibacterial properties and helps with absorption of other minerals into the skin. Sunflower oil is absolutely packed with vitamin E.
Calendula is used for reducing rashes, inflamed skin and minor wounds. Coffee is one of the best deodorisers – it removes the smell of garlic, fish and onions from you hands after washing with it. Hemp seed oil has all the omega fats and essential fatty acids that the body needs. Its food for the skin. Bergamot is used to treat depression and fight infection. Citronella and Lavender repel insects without hurting them. Oats exfoliate and help to reduce itchy skin. I only use oils, flowers and herbs that are safe for people with sensitive skins, children and pregnant or nursing mothers. 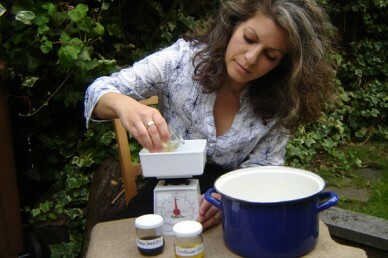 I grow most of my own herbs and flowers for my soaps on my allotment in Sawbridgeworth and those ingredients I cannot, like coffee or coconut oil, I buy from organic and fair trade groups. My honey and beeswax I get from a neighbour who’s is a keen beekeeper on the same allotment as mine. 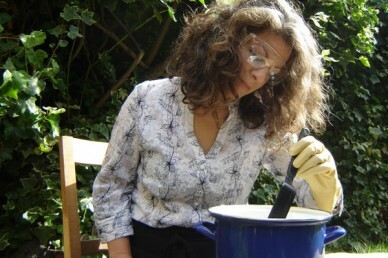 Making your own soap can be very enjoyable, creative and rewarding and there are lots of books and even courses on the subject if you would like to try it for yourself but there are a few things to remember too. Firstly is safety, safety, safety, always wear googles and gloves while making soap, the ingredients are caustic and can damage skin and eyes – golden rule is always add the sodium hydroxide to water and not the other way round. Secondly, there are some herbs or spices that can be detrimental to many people; these would include peanut oils and clove oils, which can trigger allergic reactions, so I avoid using these. Finally, while you can make soap for your own use, to be able to sell it to the public, or even give it away as a gift, it needs to be tested by an accredited laboratory for your own peace of mind and to ensure no one suffers ill effects from using your product. Other than that I encourage you to give it a go – it’s all good clean fun! Palm oil should be one of the big issues for soap-makers and all manufacturers of cosmetics as it is directly responsible for massive destruction of the world’s precious rainforests; even palm oil which claims to derive from sustainable sources must be approached with extreme caution as there have been a significant number of cases in which supposedly sustainable certification has turned out to be a fig leaf to hide all manner of illegality, from land illegally seized by oil palm companies to the exploitation and disenfranchisement of local people. A good source of information on the inherent problems with palm oil is the London-based Environmental Investigation Agency, which has monitored and expose several instances of illegal activities in the oil palm sector in Asia. As a result, I never use palm oil in my soaps, instead using organic hempseed oil as well as coconut, sunflower and olive oils. I also don’t use rosewood oil because rosewood species are highly endangered and there simply isn’t an ethical source. 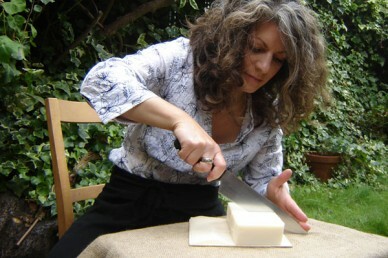 Grass Routes Soap is based in Sawbridgeworth, Hertfordshire. 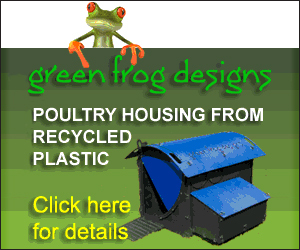 It sources organic ingredients from ethical suppliers and packages its products with sympathy for the environment, using only recycled, reusable or biodegradable materials.